Jennifer Critch hopes to spend Christmas morning watching her two young daughters play with a brand new train table. But the southwestern Ontario mom is getting anxious the toy won't be delivered in time by Canada Post, which says it is trying to clear an unprecedented backlog following a weeks-long labour disruption. Canada Post's woes, plus Greyhound's exit from Western Canada in October, are creating headaches for many Canadians ahead of the holiday season. Critch's daughters, who are three and 18 months, are transfixed by the train set at their local library every time they visit and she wanted to get them something similar for home. "It was going to be their big Christmas gift this year," she said. "I was hoping to set it up and have them wake up to it Christmas morning." Critch doesn't drive and lives in a rural area, so online shopping seemed like a stress-free option. But the estimated delivery date keeps slipping while the package sits in a warehouse an hour away in Mississauga, Ont. "I'm OK if I get it Christmas Eve," she said. "I just want it before Christmas." The federal government forced members of the Canadian Union of Postal Workers back to their jobs late last month after five weeks of rotating strikes over pay equity, safety and other concerns. Canada Post is dealing with a parcel volume two to three times higher than normal for this time of year, said spokesman Jon Hamilton. The backlog of six million packages is concentrated in major processing centres such as Toronto and Vancouver. Guarantees that a parcel will be delivered within a specific window have been suspended until further notice. "We're doing everything possible to deliver as much as possible, but the backlogs and the unevenness mean delivery is going to be very unpredictable," said Hamilton. "We will deliver a lot before Christmas, but we're continuing to monitor to see what we might not get to before Christmas." The Crown corporation has rented 1,400 additional vehicles for deliveries and 500 more for moving items between facilities. It has also added 4,000 seasonal employees. But protests at Canada Post facilities and the prospect of nasty winter weather mean there's no telling when it will be back to business as usual. Union national president Mike Palecek disputes the rotating strikes caused any backlogs. 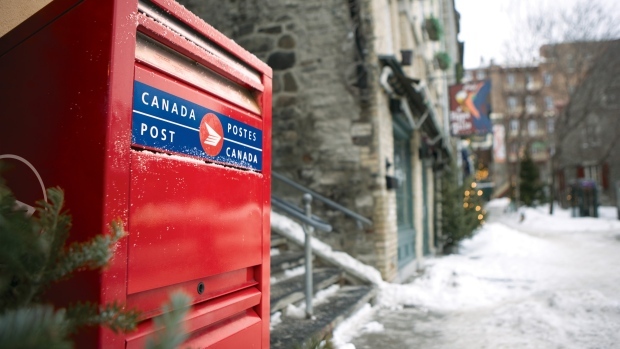 "They wanted to develop a line to create a sense of urgency around back-to-work legislation, which has always been Canada Post's only game at the bargaining table," he said. On the delivery delays, Palecek said: "This sounds to me like an issue of poor management." 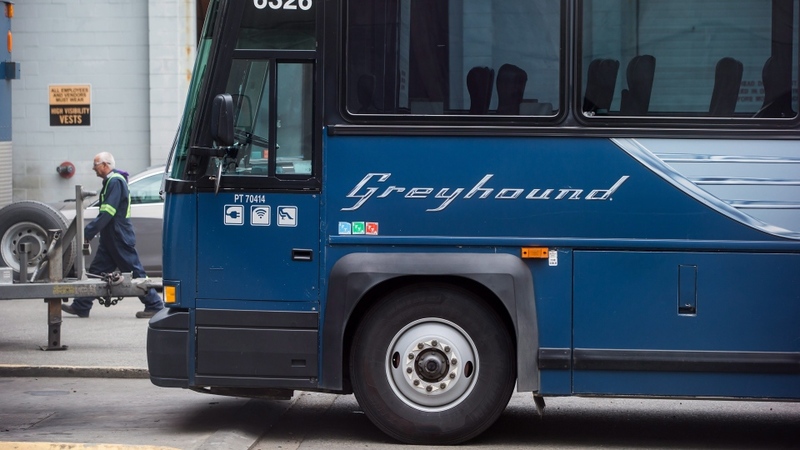 Another popular shipping mode -- Greyhound -- is no longer an option west of Thunder Bay, Ont. Its passenger buses would often tow cargo trailers to small towns, but the carrier abandoned all but one route in Western Canada in October. Only the U.S.-run Vancouver-Seattle route remains. Greyhound's move has driven up costs for Custom Woolen Mills, which processes wool harvested from farms around the country into blankets, socks and other goods in a rural area north of Calgary. It's the busiest time of year for the family-run business. "Wool's got a lot of volume. You can't squish it down. It's not like sending a pound of butter. A pound of wool is pretty big," said manager Maddy Purves-Smith. She figures the mill is spending 30 per cent to 40 per cent more on shipping by courier and truck now that Greyhound is out of the picture. "Greyhound had pretty great rates and they also went all over the country. A big challenge that we're having now with them gone is that there aren't a ton of couriers that will service rural areas and places that are a little further off the beaten track."